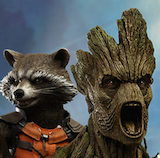 Angry Koala Gear: Marvel Announces DEADPOOL VS. X-FORCE #1 at C2E2! Marvel Announces DEADPOOL VS. X-FORCE #1 at C2E2! Journey back to the days of the 1990s, when two characters debuted who would change the face of comics – Cable & Deadpool! 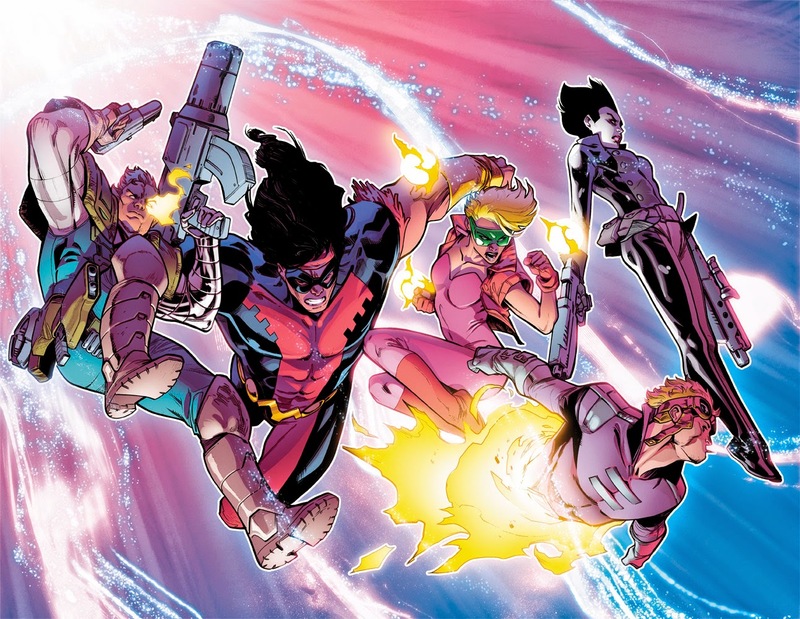 Today, Marvel is proud to announce the exciting DEADPOOL VS. X-FORCE, a new limited series from the explosive creative team of Duane Swierczynski and Pepe Larraz! In this all-new tale, we learn of the pair’s first meeting, well before their first comic book appearance in New Mutants #98, as Cable and his soon to be X-Force race through the timestream to stop the reckless mercenary Deadpool before he destroys American history for good! 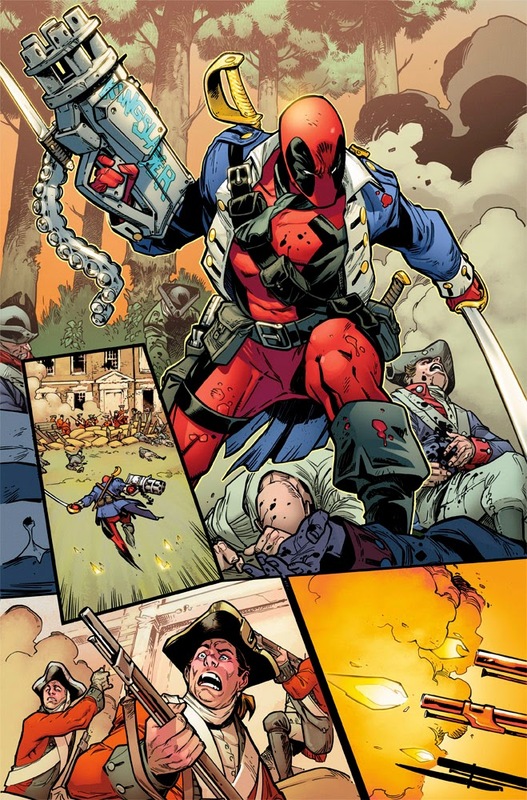 “Deadpool's gone back to key points in American military history: the Battle of Germantown during the Revolutionary War; Gettysburg during the Civil War, and then... well, I can't say anything else, because you know how one little musket ball has a funny of changing the course of human events,” says series writer Duane Swierczynski. This July, join the Cable and his band of mutants, X-Force, as they hunt Deadpool through time to prevent him from forever altering the history as we know it! 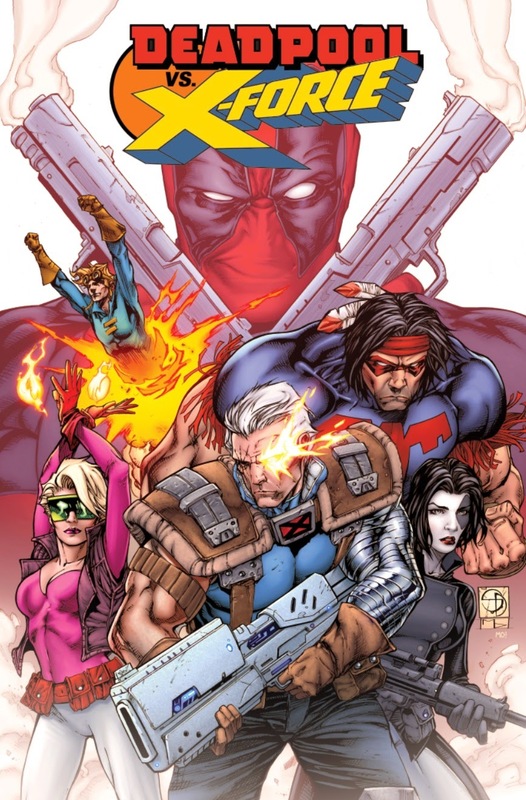 Can Cable and X-Force stop him before burning down the fabric of American history? And will they set things right, even if it means their own destruction?